The Biennial of Poster Bolivia BICeBé is currently accepting submissions for its international poster exhibition competition for 2017. The call is open to design students, graphic designers, plastic artists, photographers and graphic producers in general, of any age and nationality, having posters printed between April 2015 and February 2017. Medals, diplomas and a total of $5,000 prize money will be awarded to the best poster designs. The distribution of these prizes is not even and varies by the competition category. Category A – Posters on cultural topics and activities. Category B – Posters on political and social issues. Category C – Posters on advertising, commercial, products or services. Category D – Unpublished posters on the topic: Electronic Waste. 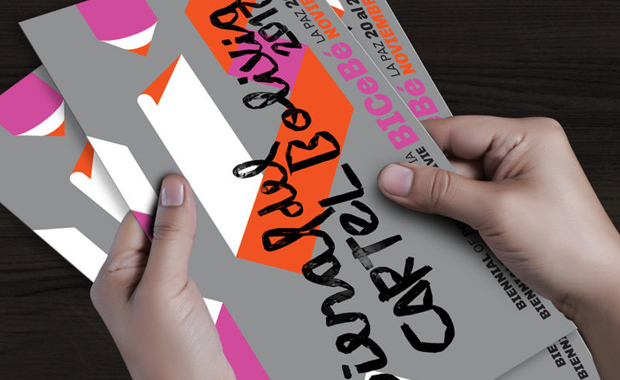 Posters will be evaluated and selected by a Selection Committee formed by distinguished designers, artists, illustrators and curators designated by the Biennial of Poster Bolivia. BICeBé is the most important international event of design and visual communication, as well as the window of Bolivian and Latin American design to the world. The 2017 event is scheduled for 20–25 November.